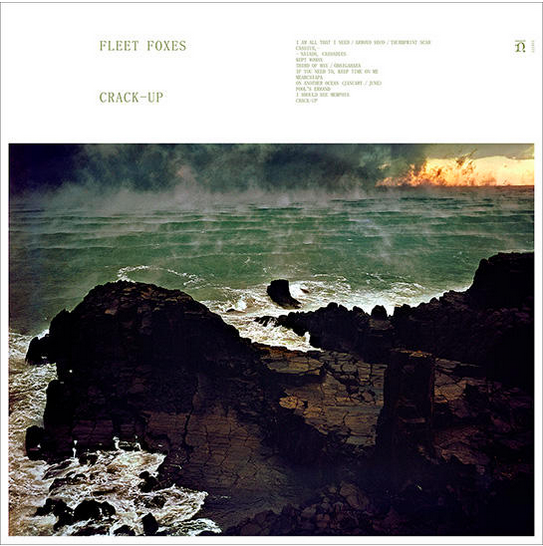 fleet foxes | crack up - The Earology Dept. | The Earology Dept. To say the Portland, Oregon-based band Fleet Foxes, have been in limbo for the past six years is not only unfair but offensive in the worst possible way. This is an album which has absorbed, not only the past six years, but both further back and in a future projected with a bit a wary trepidation as well. Crack-Up, here is an album which may be more Helplessness Blues than the original Helplessness Blues. To indicate Crack-Up is the makings of a more exact and indicate Crack-Up is the makings of an exact and exploratory version of the former body of work is not a dig. It only means than Mr. Peckhold hasn’t deviated from his path. This band obviously found their grooves years ago, but Helplessness Blues and Crack-Up settle into the groove and meditate on the theme. It is clear this band want to locate areas within the collective hearts and minds to meander into darkness and rejoice in facets of light. This body of work is yet another entry into a continuous allegory. An allegory which is decidedly earth spun and judged upon its own eloquent merits.